I am one of those gamers who adored the gameplay and the depth of GC2, but who whished that the game had better graphics. Immersion is an important part of gaming for me, and the appearance of a game obviously can help a great deal to establish this immersion factor. Unfortunalety, the graphics of GC2 did not achieve much in this direction. Because of this, like many others I was thrilled by the news that there will actually be this next generation installment, which promised to change things usings modern methods. I just now took my first look at GC3, and I have to say that I am more than a little suprised by its current looks. I don't want to (and can't) talk about deeper gameplay changes, but I can tell you what impression I had when I watched the first videos of it, and I am pretty convinced that even for a 4x game, the first impression is important: This game looks exactly like its predecessor! Yes, one can argue that this statement is of course nonsense, because there are some differences here and there, etc, etc. But overall, there is not really a step upwards concerning the appearance of this game noticable. The planet maps are the same static images like in GC, they look like a board game from 1990, but not in any way like a user interface of a video game from 2014. How can this be? I am currently playing Imperium Galactica 2 on my phone (which achieves a nice immersion btw), where you can zoom in onto a planet (with a 3D model I might add) and build cities there. Not possible for GC 2014? And the star map does also not provide any significant changes either. Ships for example are still flying there zigzag routes (an absolute immersion killer). What, Really? I can not even imagine what the ideas of you guys where to rebuild the same game with the same looks 10 years later. GC3 has been one of my most anticipated games lately, but frankly, at the moment my impression is that I do not know what this game actually adds to its predecessor, and I think there might not be a need to buy this directly after release. I could be that I will wait until the first good sale at steam. I'm fairly aware of mathematics, thanks. Only five regular volumes can fit a sphere. Actually, there are only five regular volumes at all. Twenty faces, or isocahedron is the best (maximal number of faces) you can achieve ; it involves triangles and not pentagons. I also didn't say you weren't aware of mathematics or geometry. I merely stated a mathematical fact, so I'm sorry if you took it that you didn't know mathematics, that was not my intention. Also, you miss understood my suggestion. I wasn't talking about regular polyhedra (the platonic solids). I was talking about the actual soccer ball itself, not the icosahedron. A soccer ball consists of both hexagons and pentagons, and can make a good spherical analogue. If you want to deal with just spherical geometry and produce a grid on a sphere you will end up with distortion similar to the longitude and latitude that we use today. How much distortion would occur by using hexagons? There is quite a bit of distortion with just the grid we already place on the earth. Here is the best analogue for a hex grid on globe I've found. Most solutions I've seen that look good involve including a pentagon every so often. But the amount of hexagons on the earth really hides the distortion. I really do understand wanting to move things to a sphere, but in doing so the icon art would also have to be made 3D, I don't know if it would add a great benefit to the game or not, or if it would just be cumbersome as one would need to rotate the planet, and it may be tedious for the purpose of the game. Yes indeed. 3D graphics for a game in space... doesn't outrightly shock me! I think it wouldn't be nearly as difficult as what they've done with ships. For me it is just like that : while I'm not a fan of high graphics (indeed I don't even watch the 3D ships... and they could as well be 2D for me, if only because I go so rarely in the design ships screen.) But I go much more often into the planet interface, and there I'd like to see a planet, 3D. Call it immersion. And if it was done with ships, it's certainly easier with planets! And yes, putting buildings would likely involve rotating the planet ; which could have better graphics (3D textures of better quality) ; you could see the continents and in some way the planet could become beautifull. But we aren't there. I do recall playing the old games. Never played wizardry, but I did play Wolfenstein 3D the original, and the 2d version as well back in the day. I've been playing games for a very long time... I miss the TI-99. I know it would add immersion, but there is difficulty when navigating buildings on a 3D map, epecially when building. It would be difficult to place buildings or finding that empty middle spot. Not sure if it would be great or something that I would say cool play with it... get annoyed and then turn it off for the remainder of my gameplay. interesting, so we're idiots because our opinions are different then yours. But then again yours is different then ours so does that make you an idiot too? You know it's unfortunate that we can't express our own opinion and what we had hoped to get out of a game without being insulted. My Apologies if you took it personally, i see you didnt argue the rest of my point? Anyway back on topic - I liked Need for speed underground so I bought NFSU 2 basically a car racing game and the sequel was also a car racing game I didnt post on the forum that I wanted the sequel to be a truck racing game therefore, if GC1+2 dont have Tactical combat why should another sequel? I bought GC1 and DL on spec and liked them so much I bought GC2 Ultimate when I saw it on the shop shelf.I like watching the combat viewer and like watching the old vids people have done on Youtube (hope to do some myself someday). Perhaps I'm a stick in the mud or just like GC the way Brad makes it. Lol i didn't argue your points because your probably right. apparently you didn't read any of my posts. My largest concern and reason i'll wait for it to be on sale is the UI. I even stated that i hadn't played the game and it's probably made huge strides but i just can't get past the horrible UI. Yes there are others here that posted that they had more dislikes then the UI, i'm not going to judge anything beyond what i can see in the videos and what i see is a horrible User Interface. Oh and the zip zag movement, i don't like that. It's like a drunk trying to make it to the bathroom before he pukes. I think it takes you away from the immersion of the space empire thing. But i understand that it's something that i'm sure i would get used to and some people even like it. So that wont prevent me from buying the game but the UI will, at least for what they're wanting me to pay for it. I personally dont like the zig-zag movement I prefer the movement in GC2 of long sweeping curves or straight lines but it'll probably grow on me - perhaps? I cant play GC3 till I get a newer comp so I'm just going by the wids as well. But the problem is not as much the amount of memory as what you actually do with it. Currently, the game incredibly looks like GC 2.1 and not GC 3, a whole new game. When I play Master of Orion 3, I see lots of (bad) changes over Master of Orion 2. Here, I see GC2, with improvements in some minor areas : ships graphics ? of well... I can live without that! unless I also get a rather large tactic battle screen such as there was in MoO. I gotta pitch in (I've been away for months) and say that the planetary screen is a bit dull. It's even jarring to me, sometimes, when comparing the hex grid space and whatever buildings I'm placing in 'em. They just don't "fit" together properly. IT SUPPOSED TO LOOK LIKE GC1 AND GC2!!!!! ITS GC3 FOR GOD'S SAKE ITS A SUCCESSOR TO THOSE GAMES. IT'S NOT MOO AND IT WONT HAVE TACTICAL COMBAT THE WAY YOU AND SOME OTHERS HERE WANT IT... GET OVER IT ALREADY. IT"S NOT FINISHED YET!!! ARRRRRGGGGGGGG!!!! The same lame arguments over and over and over and over. Stop comparing it to other games until its finished at least. It will still be a great game!!!!!! Has anyone ever milked a dead cow? I doesn't go MOO! No need to be angry. What I see is that GC3 is a very conservative upgrade over GC2. Being in the early stages of Beta (or Alpha, depending on the myriads of definitions out there) its suppose to be. You always start out with what you know and build from there. Like a foundation. We are currently seeing the foundation of the game which is similar to what GC 1 & 2 is. Which is exactly what we want to see. The many current improvements over GC 1 & 2 are all similar improvements as well. Things that won't be fully understood until the house is finished. 64-bit architecture, which will allow for improved AI (not in game) better diplomacy (not in game) larger map sizes (not in game) and more. Improved graphics, more than better looking ships, once combat viewer is out, better explosion and weapon's fire and more there I am certain. +1 with what Ryat said. Hey, my Avatar is BACK!!! I mean, putting aside the massive feature spec differences, I can't say they look the same other than yes, there are space ships in space. The visual similarity people keep going on about is basicly that the map is a 2d plain in both games and that both stars and planets are shown on it with the distances not to scale. Complaining about that is like complaining half life 2 was exactly like half life because they both give a 3d first person perspective. I do find posts about how the map MUST be to scale and 3d a bit pointless and tiresome and its not like stardock are going to change this now or that it would add anything useful to the game other than a lot of extra clicking between system and starmap views and a lot of having to rotate the map. I'm sorry you had to read all this. On another note I actually rather like the planet screen in the Beta, I like that they added the planet and any orbiting moons in the background. And when planning a colony as a leader it actually makes more sense to plan on a map rather than plan from a network of camera's in satillites orbiting the planet both in terms of practicality and expedience. town planners use maps not full 3D town simulations generally the same should apply to colony planners. I see it as immersive because as a leader I am looking at a map of the planet with usable zones highlighted to plan what should be built where I am not flying above the real planet, because I have a space empire with hundreds of planets to run I have computers that provide me the relavent maps and information and give me a command interface to enact decisions though. I haven't read half of this thread, its so boring reading people ripping into each other over differences of opinion. I don't think most people would treat each other like this face to face but I suppose its OK cos they can't see you. Anyway I really like the game so far, its obviously got a long way to go and I've expressed my opinion that I think it should still be called an alpha, but regardless I think it does what it aims to do well. But I really hear the OP when you make the reference to Imperium Galactica 2, I remember playing that god knows how many years ago on an awful heap just about running XP, and the city building was just great. It was so easy so it didn't frustrate you with too much detail but it did mean that how much stuff you could get on your planet came down to how badly to laid everything out. If I could ask for anything in GalCiv3 it would be that. Its also something the computer could handle for you if thats what you prefer. As far as TC goes, I'm not fussed. I do enjoy TC but I also know in a game the scale of GalCiv I'm going to be skipping the battles pretty soon in as theres just too much to do so I'm happy they aren't putting time into that which can be used elsewhere. I agree about tactical combat I'm sure I would enjoy it if it was there but I mever really missed it in gc2 so won't miss it here so long as I get to see my fleets in action which I know I will. I think being able to assign ships roles in a fleet will really add something to hc3 though some im very pleased by that change. I have to say that I agree 100% with post. Yes I see many die hard fans to defend their fav game and yes I'm one of them too but.. let's all be honest either you like or you hate GC3 it's true that it's the same recipe only improved. It's not like a new game but rather the next version of it like Photoshop the same just better with some new extras. 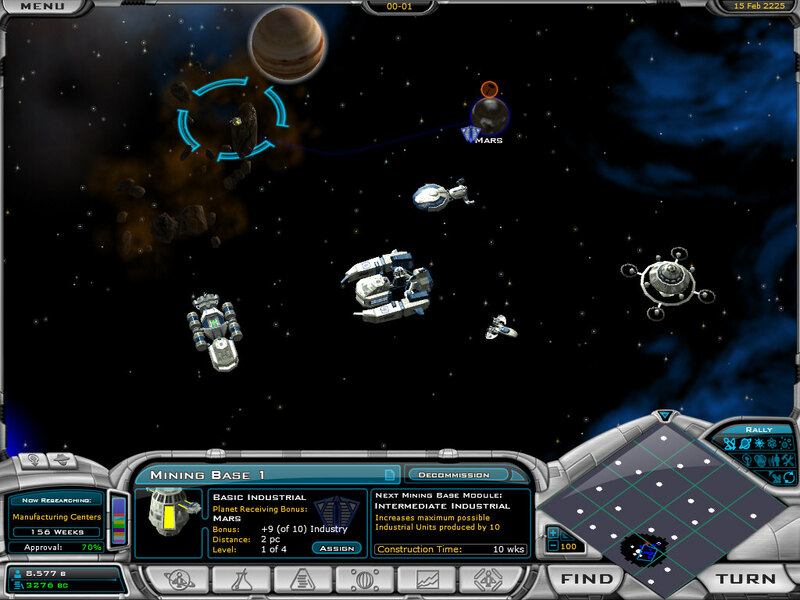 GC1 was great, Gc2 was amazing especially with later expansions but even then the game was a bit old fashioned limited, tiled planets, terrible terrain maps, some "special" resources around the map, no tactical combat yet older strategy games such as the best of all time Master of Orion 2 had it. It's strategy game not focused on tactical combats especially when you might have lots of them on a huge map but it could have it in a limited fashion and the option for auto resolve if you want to make it quick. Flying in zig-zag is really ugly remembers me some very very old games of the past! Worst thing for me in GC2 was the planets which are more like small bases in space rather real planets that you can build many cities and terraform them later and I mean see them changing from barren worlds to earthlike one rather terraforming a sector which you can build just one building. I did not expect it the same recipe to be introduced in GC3 I was surprised because it so 2000 or even older concept. They made it 64bit but it seems they don't want to risk making big changes. Because a recipe works does not mean people will always love it at some point they want something else and when they find it they will abandon the old one. Yes its been told many times GC is not MOO2 and it does not have to be but it had to change, there are other games older or new ones much simpler yet they have some much better implementations such a 3D map in Sword of Stars. I have been always playing strategy games I never liked the first person shooting games but I always adored their amazing graphics and I was dissapointed that no strategy game comes even close. In 2014 I expected more from a 64bit game of course I know the memory limitations, map sizes and difference from first person shooters but a new level of graphics would be much appreciated. Sadly it's focused more in game mechanics rather appearance. Interface also is very bulky much better and lighter than GC2 but still not cool. Someone would expect a sleeker design today. I believe that I will play GC3 for the next 1-2 years but not as much as GC2 because it's the same just better and I'm looking for something more today.